Anthony Trollope was well aware that the seemingly parochial power struggles that determine the action of Barchester Towers - struggles whose comic possibilities he exploits to hilarious effect - actually went to the heart of mid-Victorian English society, and had, in other times and other guises, led to civil war and constitutional upheaval. That awareness heightens the comedy and intensifies the drama in this magnificent novel and it transforms the story of a fight for ascendency among the clergy and dependants of a great English cathedral into something fundamental and universal. 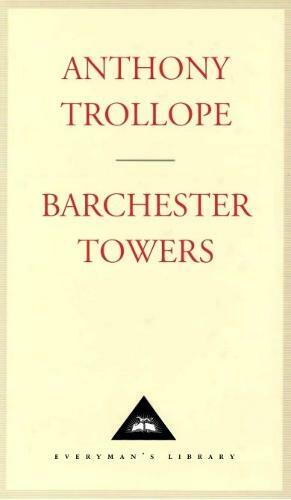 Barchester Towers is the second of Trollope's six Barchester Novels, all published by Everyman's Library. God, I feel so strongly for the characters in this book! It's hard not to as Trollope himself seems to feel very strongly and apologises and defends and condemns like any lawyer would.